"Punjab has once again lost a young soldier from Moga due to Pak firing. My heart goes out to his family," Amarinder Singh tweeted. Rifleman Karamjeet Singh, 24, was killed in ceasefire violation in Rajouri. 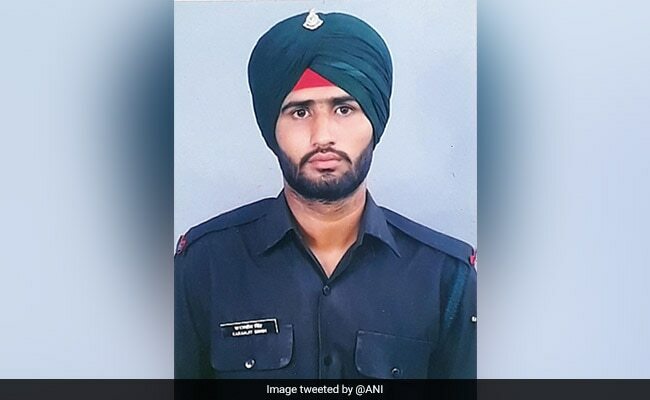 Punjab Chief Minister Captain Amarinder Singh today announced Rs 12 lakh for the family of Rifleman Karamjeet Singh, 24, who was killed in ceasefire violation by Pakistani troops in Jammu and Kashmir's Rajouri on Monday. "The relief includes Rs 7 lakh as ex-gratia and Rs 5 lakh in lieu of land, to be given to the soldier's family," an official spokesperson said. Pakistani forces violated ceasefire early Monday morning by firing mortar shells in Keri Battal area of Sunderbani sector. In the incident, Rifleman Karamjeet Singh was critically injured and later died of his injuries. Expressing shock and grief at the young soldier's death, Mr Singh said, "Pakistan shamelessly continues to violate all principles of international and humanitarian law with its repeated ceasefire violations. Punjab has once again lost a young soldier from Moga due to Pak firing. My heart goes out to his family."